DriveSafety clinical simulators can serve as tools to help TBI survivors build driving fitness and regain driving independence. Driving is a key component to independence and maintaining valuable connections to one’s community. Driving allows for continued social interaction; participation in faith and social communities; and participation in activities for daily living, such as visiting the grocery store, obtaining medical care or participating in a social event. Driving may result in feelings of autonomy and dignity. Traumatic brain injury (TBI) victims can lose the cognitive abilities needed to drive, threatening their sense of freedom, and disconnecting them from their communities. The long list of mild TBI cases’ side effects range from acute symptoms such as headache, difficulty thinking, memory problems, attention deficits, mood swings and frustration to more lasting negative effects and loss of cognitive functions. Many who suffer a mild TBI do not seek medical attention and so may not make the connection to lingering symptoms. Mild TBI accounts for 80 percent of all cases. Close to 1.4 million people sustain TBIs each year. Statistically, of those cases, 50,000 do not survive the initial injury; 235,000 require hospitalization; and 1.1 million are treated and released from emergency departments. An estimated 5.3 million people require long-term assistance with activities of daily living because of lasting effects of TBI, according to the Centers for Disease Control and Prevention. In an article published by the Archives of Physical Medicine and Rehabilitation, Lisa Rapport et al. state, “Driving status has unique and independent association with post-TBI community integration.” The article outlines a study looking at the connection between driving and maintaining community integration for patients who suffered TBI. The article identifies three main types of community integration necessary for maintaining a sense of freedom for TBI sufferers, including occupational integration (maintaining gainful employment or gaining opportunities for volunteering); social mobility (traveling outside the home through the independent use of private or public transportation); and social integration (maintaining social interaction). An article by Loren Lomasky, “Freedom and the Car,” published by the Foundation for Economic Education, highlights the significance of mobility in maintaining a sense of community. Being a self-mover in the latter part of the 20th century is, to a significant extent, being a motorist. Automobility affords adults choices not available before automobiles were widely owned, including where to work, where to live, and where and with whom to socialize, taking into account the distances between them. For many, commuting costs are outweighed by the benefits of autonomy and freedom of choices. Loss of cognitive and physical functions can limit these choices for patients with TBI, essentially stripping them of a key aspect of their freedom. DriveSafety clinical simulators can serve as tools to help TBI survivors build driving fitness and regain driving independence. Virtual driving simulations can measure progress and highlight weaknesses, allowing patients to understand current driving fitness levels. 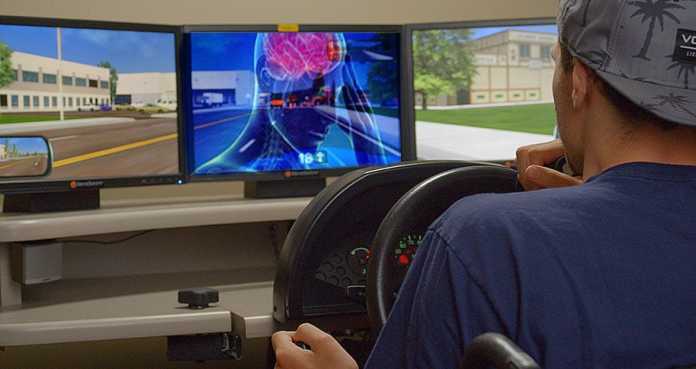 Physical therapists, occupational therapists and medical teams can incorporate driving simulations into overall treatment plans aimed at patients regaining full autonomy and freedom behind the wheel. Patients and clinicians are urged to contact DriveSafety today to speak to a certified technician about the options available and advances in simulations to support TBI patients. SOURCEArchives of Physical Medicine and Rehabilitation, vol. 89, no. 5, 2008, pp. 922–930., doi:10.1016/j.apmr.2008.01.009. Previous articleEngineers, Architects and Project Managers Wanted Today! Next articleWood Products Based Veteran Owned Company Is Hiring Veterans Today!